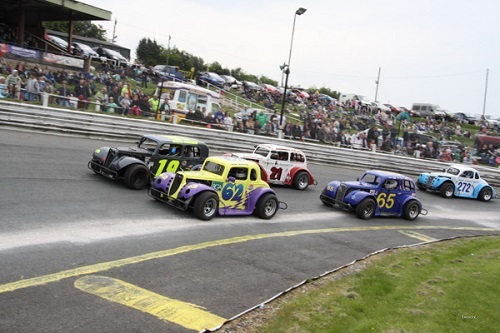 Based on vintage American hot rod body shapes, but powered by 1200/1250cc Superbike engines, these little cars are extremely quick in a straight line and demand plenty of driving skill from some of Britain's top oval racing drivers. Legends are most popular in the USA but championships for these cars exist across the world, and UK racers regularly feature prominently in the world rankings, and some drivers have even crossed over from the UK's circuit series for these little machines. 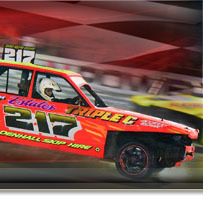 The biggest event for the class at Spedeworth/Incarace is the annual National Championship at Hednesford, while Northampton International Raceway stages the Golden Helmet Championship, but for many the place to see these cars is under the floodlights of Birmingham amid a wonderful atmosphere or watching the drivers tackle the tight turns of Aldershot and the fast straights of Foxhall Heath Stadium, Ipswich.